Did you know? The avocado is the fruit with more protein that other frits with a total of 1.9 grams of protein per 100 grams. It is the best fruit for a sports diet. So, today we are cooking : Stuffed Avocados. If this you didn’t know it, it is because you don´t read our Facebook, because we have telled it this week. 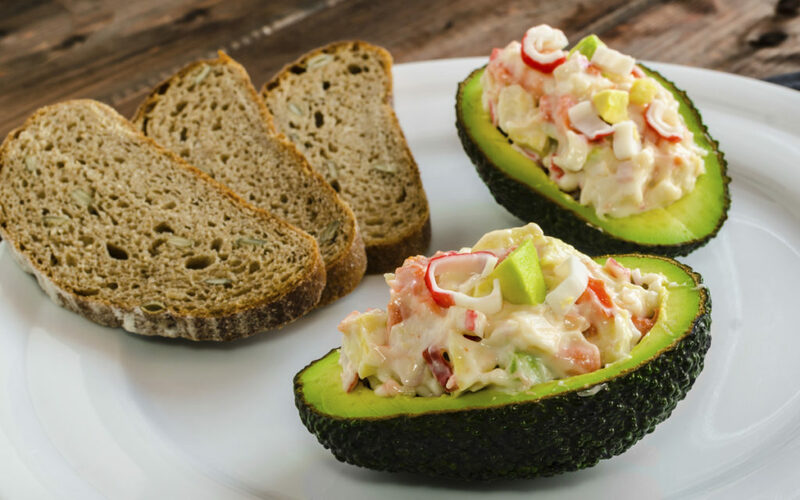 Avocado is a very tasty and energy fruit, almost a vegetable butter, which serves as a natural substitute vegetarian of proteins contained in the meat, eggs, cheese and poultry. 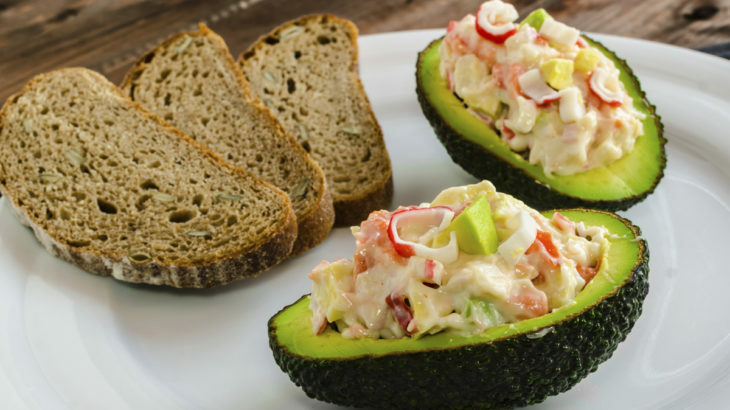 Moreover, avocado is also very beneficial for our body by its antioxidant power due to its high content in vitamins A and E.
So, today we are going to cook a stuffed avocados, as already high temperatures are arriving our cities, we are sure that will fell like you to start eating fresh dishes. First, you must wash the avocado and cut it in half lengthwise. Then you remove the bone and empty inside, but reserve it. Next, you wash lettuce leaves and you chop it finite strips. Then you must cut surumi into small pieces. Now you prepare cocktail sauce. For them you must check all the ingredients in a bowl and move it until you become a light and homogeneous mixture. In the other bowl, you check out the lettuce, surumi, corn and avocado that you removed previously. Then you mix with cocktail sauce and you turn it into a tasty mixture. If you want, you can sprinkle a little bit of fresh chives, chopped up to make it more refreshing. Already we have ready our main incoming! A very healthy and summery plat that you can surprise your guests. We leave more tricks of Mediterranean which can be found in our blog. Mediterranean Diet, Mediterranean Recipes diet, healthy diet, healthy recipes, lose weight, mediterranean diet, mediterranean recipes. permalink.